Hospitals and other medical facilities stand amongst the most important structures in our society. For the patients that occupy hospital halls, the often-noticed details that inform hospital construction can make a very real difference between life and death. Consider hospital flooring. For patients and staff a safe and sanitary flooring solution represents one of the most necessary and important elements of hospital design. Yet, while most medical flooring solutions makes claims to “antimicrobial” surfaces, few contain the necessary sanitary additives. Those that do, incorporate additives in the top layers of flooring surfaces, where adhesion lacks the strength and durability to hold up against the harsh chemicals used by cleaning crews. 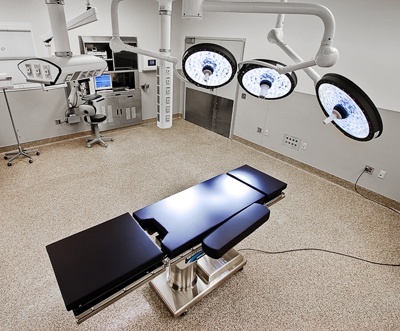 Medical facilities need strong flooring solution that is slip-resistant, inherently antimicrobial, and easy to clean. Everlast Epoxy Systems create this exact type of proprietary epoxy flooring. Due to its wide range of beneficial properties. Everlast’s flooring systems have been installed in many reputable companies and facilities across America. Most importantly, it has an EPA-registered antimicrobial additive that makes it especially suited to the needs of medical facilities. Medical buildings dedicated to healthcare require a lot from their flooring. Hospital floors must allow for quick- and thorough- cleaning with minimal residual slippage, while retaining a durable, chemically resistant, antimicrobial surface. That continues to eliminate the spread of disease, even after prolonged use and wear. Imagine an athlete with a leg-wound entering an x-ray room. The floor on which he walks needs to provide a hygienic surface that helps protects against the risk of infection. While also providing the necessary grip to prevent falls that could lead to further injury. Conversely, the floor needs to be antimicrobial in the event that the patient has any existing bacterial infection—such as athlete’s foot—that could potentially spread to other patients or staff. To answer this full range of needs, Everlast Epoxy Floors provides a completely seamless, slip-free solution available in a variety of colors and customization options. Everlast Epoxy flooring surfaces also contain powerful antimicrobial additives that provide critical protection against infection and the spread of disease-causing contamination. 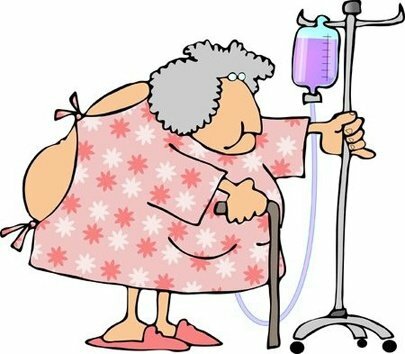 The US Centers for Disease Control (CDC) estimated that hospital-acquired infections now affect one-in -every 25 patients, and other studies show that the number-one cause of inpatient harm is slips, trips, and falls. Everlast flooring provides a non-porous surface resistant to microbial adhesion and comes complete with an EPA-registered antimicrobial additive. It is also designed with a coarse, non-abrasive pebbled texture that helps prevent against slips. And for areas more highly prone to slippage, Everlast offers additional grit additives that enhance floor adhesion. Proper flooring within hospitals and medical treatment facilities is paramount, and Everlast delivers the very best options. Safe and sanitary surfaces represent a fundamental expectation of hospital service. Hospitals house and treat patients with a variety of infections, illnesses, and vulnerabilities; the areas, especially flooring, that make up care environments need to be as clean as possible. Without proper attention to the necessity of safe, effective flooring. Hospitals built for patient care can quickly turn into danger zones, rife with the increased risk of injury and infection. Everlast Epoxy flooring provides antimicrobial agents and a textured design that at once reduces slippage while enhancing overall environmental hygiene. It is seamless, easy to clean and keep clean, and durable enough to withstand constant, intense cleaning without losing any of the above benefits. Choose the safest and best medical flooring solution for your patients and staff by choosing Everlast Epoxy Flooring.